I got a gift last week- something I've wanted for-ever, and never bought for myself. I cannot wait to try it out, to use it in the afternoons and take my strong coffee to my desk with me, to use it at dinner parties. I'm all over this French Press. And it's so good to remind me that children and hot fluids should be kept apart. I thought that was a funny way to phrase it. 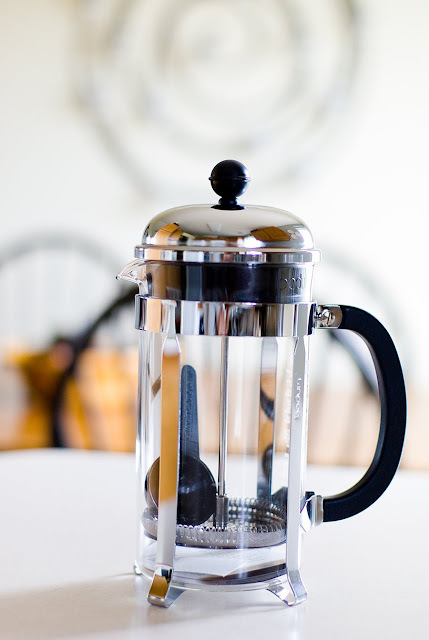 My husband and I LOVE our french press. That's the only way we make coffee. We did away with the coffee pot almost 3 years ago. Enjoy!!! Yay, I love mine. Although I don't use it much right now. I'm all about the automatic coffee maker for my early rising to nurse Sophia. 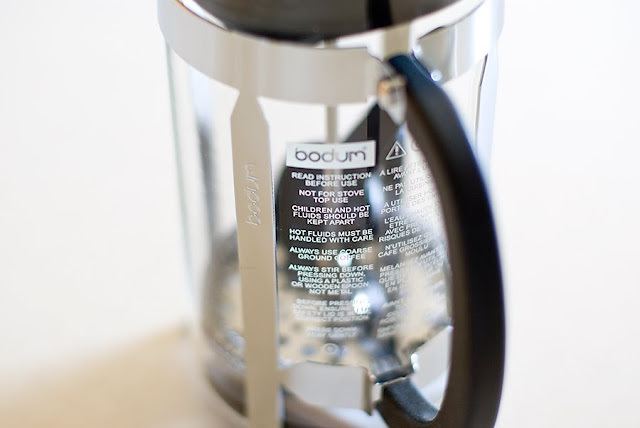 Don't have time, but will make time again for my french press! I've been using a french press exclusively for quite awhile now and oh my, I adore it. I can make Daniel his coffee and there's no waste. Not to mention that it's the most delicious coffee a person could ask for! Enjoy a steaming cup for me! I love my french press, I don't even own a coffee maker! and because I'm so used to the strong coffee (I use espresso grounds probably far too generously!) I'm not a fan of the weak stuff that comes from a regular pot. however, I have found that over time the screen that comes up alongside the springy thing in there has bent a little in places (from washing) and now does not filter as well :( so be careful about that!